Please note; we do not accept speculative CV's. Our jobs are like our theatres, open to all. Sheffield Theatres recognises the positive value of diversity, promotes equality and challenges discrimination. We welcome and encourage job applications from people of all backgrounds. We particularly welcome applications from disabled and Black, Asian and Minority Ethnic (BAME) candidates as they are currently under-represented at Sheffield Theatres. 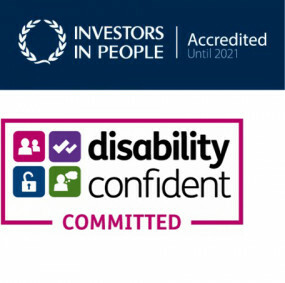 We’re proud to be a Disability Confident committed employer, supporting and promoting disabled people in the workplace. If you require support in completing your application, you can contact Michael Bailey, HR Manager on 0114 201 3817 or by emailing [email protected].